Acid Rain removal & Water Spots, No Longer a Problem! 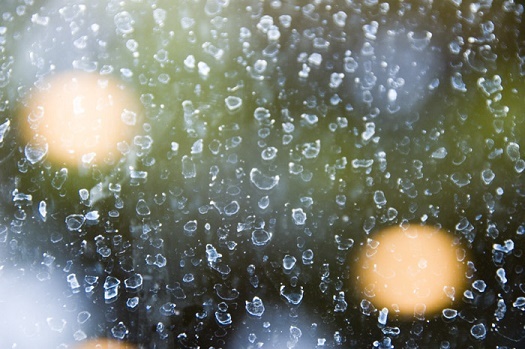 Acid Rain or Water Spots can embed themselves onto the glass on your car, but DT Services Window Tinting can remove them for you! We do it all the time for folks like you, and we can remove them for you too. What causes These nasty Water Spots on Auto glass? This damage is actually a result of air pollution that is typical of cars that are found in big cities. The pollution comes down in the rain and then sits on the glass. After only a few hours siting on the glass, the acid actually etches the glass leaving it to look terrible with damage that is nearly impossible to remove. Most people turn to Windex or some other glass cleaner to remove these stubborn stains from windows but are quickly disappointed with the results. I live in a rural farm community, so I'm immune Acid rain on my car, Right? You might think so. However because air pollution is so widespread, your car is not safe ANYWHERE the wind blows. Farm communities actually are at even a higher risk due to the openness of the terrain and the fact that rain drifts from city to city on the back of the prevailing winds while picking up all kinds of contamination that settles unto your car's glass. I never noticed These Spots before I got my windows tinted. Why do I see it now?? You're right! You didn't notice this kind of damage before you had your car tinted because the glass was effectively clear. But there is an easy explanation for this. Whenever you place a dark background on glass, it draws your attention to anything that is lighter... i.e. water spots, scratches in the glass, or acid rain etching, etc. What to do when This appears on your car? Good news! DT Services Window Tinting LLC has a tried and true, proven method that effectively removes these unsightly spots from auto windows. We can guarantee your satisfaction. What do you charge to restore my windows and remove this damage? We can remove most* of this damage for around $99.00 and it only takes approximately 1 hour to do. You can wait on your car while we restore your glass or you are welcome to drop it off and pick it up later. Contact us to schedule an appointment to have this done to your car today! *Most car glass can be restored for $99 however some will need extra cleaning to rid the glass of the effects of acid rain water spots. In the unlikely event this is the case on your car, we will charge more but promise to be fair in doing so.